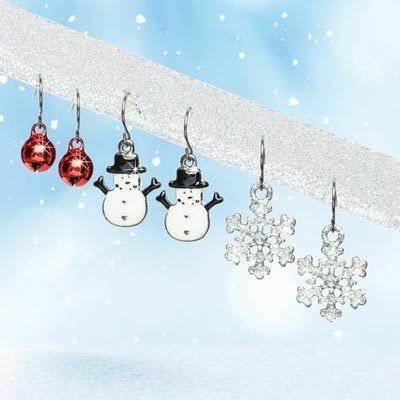 Celebrate the season with three different holiday-inspired motifs… or get three gifts in one with this lovely Christmas Earring Collection. Includes festive red jingle bells, jolly white enameled snowmen and elegant iridescent snowflakes. Set of 3. French wires. 1"- 1½"l.